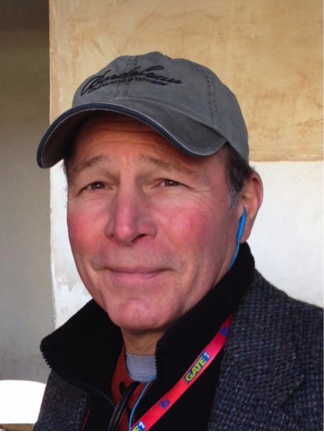 Each year, the Alliance selects a single individual to recognize with our Frances H. Flanigan Environmental Leadership Award. This award was established in 2001 in honor of Frances H. Flanigan’s 23-year career of leadership and partnership building throughout the Chesapeake Bay watershed as Executive Director of the Alliance. The Award recognizes a person whose long-standing commitment to the restoration and protection of Chesapeake reflects the Alliance mission of fostering diverse partnerships and building local action to inspire environmental stewardship. Nick served as the head of the US EPA’s Chesapeake Bay Program from 2011 until his retirement in December 2017. He has a vivid memory of what inspired his passion for the environment and remembers exactly where he was when he read Rachel Carson’s “Silent Spring” for the first time. The threat of a spring where no songbirds would sing spurred him to personal action. Nick’s career started him out as an enlisted member of the Navy, helping pilot nuclear submarines for 6 years. Here he started to understand what nuclear energy actually meant for the environment, and upon leaving the Navy, he started his career path in the environmental world. Nick’s career took him to Missouri as the Director of Solid Waste Programs. From there he moved to Delaware, taking the position as the Director of Air and Waste Management, then as the Secretary of the Department of Natural Resources and Environmental Control for the state. It was here that he says he, “started to appreciate the totality of the environment, not just one piece of it.” Nick brought his enthusiasm and forward thinking to the Chesapeake Bay through his work at the Chesapeake Bay Program, and states that one moment that he is proudest of is the 2014 Watershed Agreement. This was the first Watershed Agreement with measurable goals and outcomes, and he believes that the indicators are, for the most part, heading in the right direction toward improvement. Nick has poured his passion into the work he’s done for 30+ years – ecosystems and habitat mean a lot to him. But you wouldn’t know that Nick is retired, as he remains dedicated to the Bay restoration community. He is on the advisory board of ShoreRivers and Chesapeake Legal Alliance, and continues to share his wisdom by delivering lectures at universities around the Chesapeake watershed. Nick emphasizes that ecosystems respond over a period of years, even decades, and not minutes or months. He believes in a proactive, rather than reactive, approach, and his proactive leadership has led to a collective hope of restoring the Chesapeake Bay by 2025. The Alliance is proud to honor Nick DiPasquale with the Fran Flanigan Leadership Award for his significant contributions to the current state of Chesapeake Bay restoration. Personally, Nick is as resilient as the ecosystem he so enjoys, and won’t stop fighting on the Chesapeake’s behalf. Thank you Nick, for your leadership, and all you have done for the Chesapeake Bay! The Alliance will also honor three Watershed Champions at our Taste celebration for their outstanding contributions to the Chesapeake watershed through innovative thinking, initiative, and the development of inspiring and impactful partnerships to advance stewardship in the Chesapeake watershed. Beau Breeden’s inspiring volunteer work on behalf of his community and the Magothy River make him a true Watershed Champion! He doesn’t work on behalf of the Magothy River as a full-time paid job, but instead as a full-time volunteer. As the son of a Navy Commander, Beau’s love of the water started early in his childhood. His family moved 6 times in his first 9 years of life, so when Beau and his family landed in Cape St. Claire permanently, he knew he had found his forever home, and he’s worked to improve life there ever since. Beau was one of the youngest President elected to the Board of Governors for Cape St. Claire in 2014, and many of the 8,000-resident community jokingly refers to him as “The Mayor.” The peacefulness of the water, the plentiful community beaches, and the local crabs all inspire Beau to do what he does. A man fascinated by numbers, he’s given thousands of hours volunteering in the last 6 years including helping with the Alliance’s Project Clean Stream cleanups, and in coordination with the Alliance, participated in the implementation of a $100,000 grant from the DNR Governors Green Challenge Grant to restore Lake Claire. He participated and coordinated many aspects of the project as it continues beyond the grants, including community volunteer events to clear invasive species, securing Open Burn permits to fight invasive Phragmites, and assisting in multiple native tree and shrub plantings in the community’s stream valleys. Always seeking the next opportunity to help, Beau is now looking at innovative public-private partnerships to help fund 7 restoration projects totaling nearly $6 million in his community. Cape St. Claire’s community goals are to save, restore, and improve community property that impacts the Magothy River. Beau dedicates his volunteer time to improve his community and his beloved Magothy River because he believes in giving back to his community, and making Cape St. Claire a better place to live for generations to come. The Alliance is proud to recognize Beau as one of our 2018 Watershed Champions! Scotty Guinn Dilworth’s expertise in the landscaping industry is designing and installing native plantscapes, rain gardens, pollinator gardens, meadows, and green roofs. With her focus on creating and maintaining resilient and sustainable landscapes, this makes her an excellent recipient for the 2018 Watershed Champion Award. 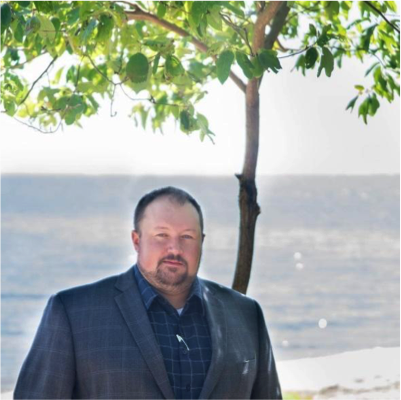 Scotty is a Certified Chesapeake Bay Landscape Professional, Virginia Certified Horticulturist, Certified Rain Garden Installer, and Certified Green Roof Installer. She also works with the Richmond, VA nonprofit Tricycle, designing pollinator gardens and urban farm sites after several years of working with hundreds of volunteers creating and maintaining multiple sites for Tricylce and their partner organizations. 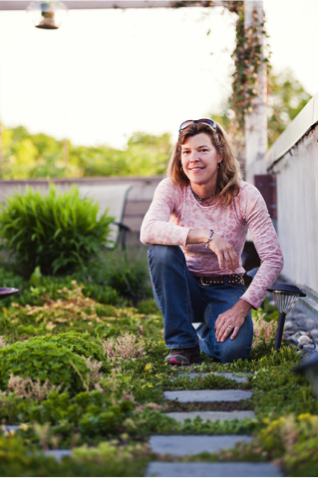 Scotty is passionate about creating bio-diverse, healthy ecosystems through her work. In 2016/2017, Scotty designed and installed existing green infrastructure practices at Binford Middle School, Boushall Middle School, and the Neighborhood Resource Council as a part of the Alliance’s RiverWise Education Program. After being a part of a team of experts tasked with creating a Green School Initiative, she is now the lead on several Binford Middle School’s green infrastructure installations, and oversees the project’s budget, designing of conservation landscapes, hiring of subcontractors, and managing of vendors – and does it all with a big smile! She is a true believer in collaborative work to make a difference for communities and the Chesapeake Bay watershed. Scotty has been a true friend to the Alliance as a creative, enthusiastic partner, providing amazing ideas and insight to our work. She has worked tirelessly to produce beautiful designs and ensure that they are installed correctly, on time, and within budget. She is beyond deserving of this award, and we are honored to work so closely with her on such amazing projects! Matt Kofroth’s watershed knowledge and ‘can do’ spirit are at the heart of his local watershed work that has made an incredible impact on each downstream neighbor who has benefited from the many projects and programs he’s implemented. 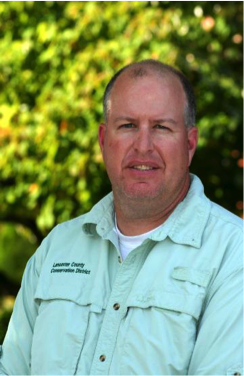 With years of volunteering in watershed efforts prior to his work at the Lancaster County Conservation District, he steadily built a base of understanding about the improvements and best practices needed to help Lancaster County waterways. As the watershed specialist at the Conservation District for almost 20 years, Matt has coordinated volunteer monitoring programs, helped organized local watershed associations, reviewed and written grants for restoration projects, and created resources for county homeowners to improve water use in their local watershed. His innovations in watershed education have empowered numerous volunteers to make a difference in their own watershed. He truly recognizes that one person can’t do it all, rather he is able to guide and serve as a valuable resource to enable others to excel and complete goals broadening the ripples in the stream so to speak. Matt has contributed to the Alliance’s Pennsylvania programming, including our READY program, and Restoring the Octoraro Reservoir project, as well as serving as a guide for our Pennsylvania team in writing a Watershed Implementation Plan. Matt has been involved in countless efforts dedicated to the Alliance’s work, and is a resident watershed expert for many organizations in Lancaster County and beyond. It is our honor to recognize and celebrate Matt Kofroth as a 2018 Watershed Champion! Our environmental award winners are representative of many others whose dedication inspires all of us every day. We invite you will join us at the Taste 2018 to celebrate these inspiring environmental leaders and to support the Alliance’s critical Chesapeake restoration work. To purchase your tickets, visit: allianceforthebay.org/taste.